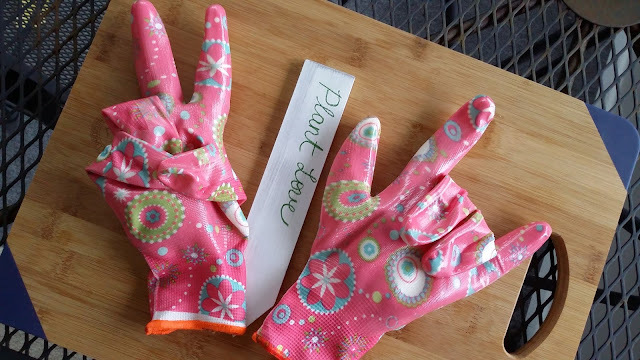 I got some really super-cute gardening gloves 2/99¢ at one of our local discount stores. 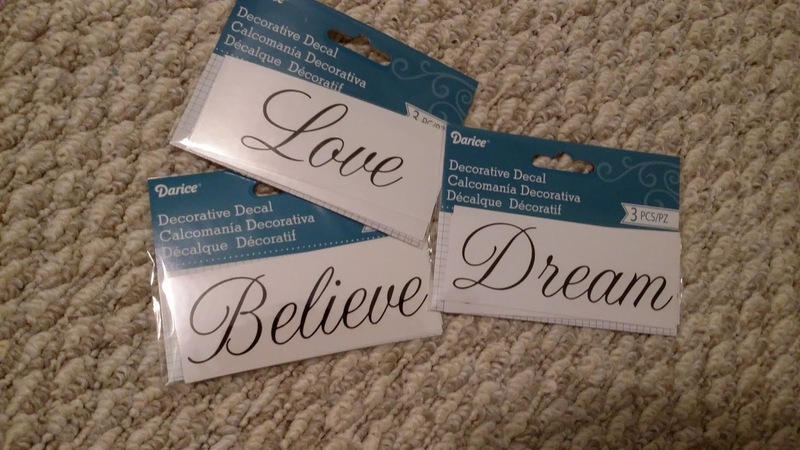 I was going to give them away at one of my parties, but nobody remembered to take them. I was looking at them this morning thinking that I could probably come up with a cute craft with them. Although this was NOT the original craft I had in mind, I think it's pretty darn cute and would be good for a Mother's Day gift or a teacher gift if you know the teacher likes gardening. I bought some clay pots yesterday because some of my house plants are in dire need of being replanted. They are in their original 4" pots and they probably should have been replanted as soon as I got them! I kind of wanted to see if I could keep them alive first. I have such a non-green thumb. What I already had: paint brushes, paint, Satin finish. 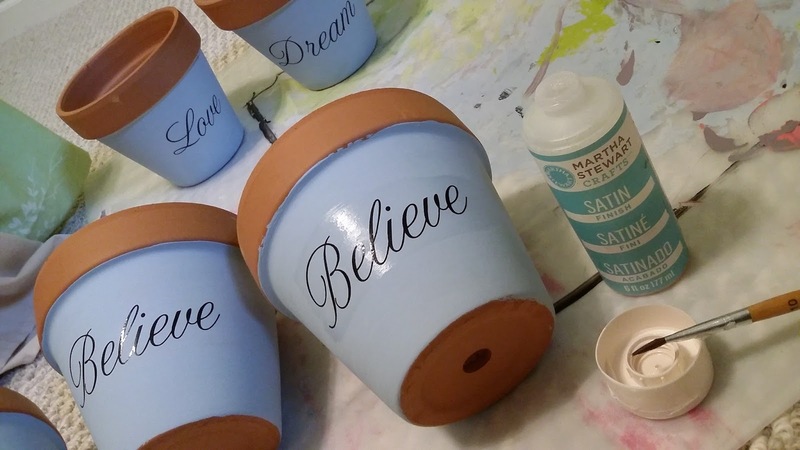 I knew I needed to do a lighter color paint so that my black word decals would show up, so I went with the light blue chalky finish paint that I had on hand. Don't you always do crafts sitting on the floor in your pajamas? 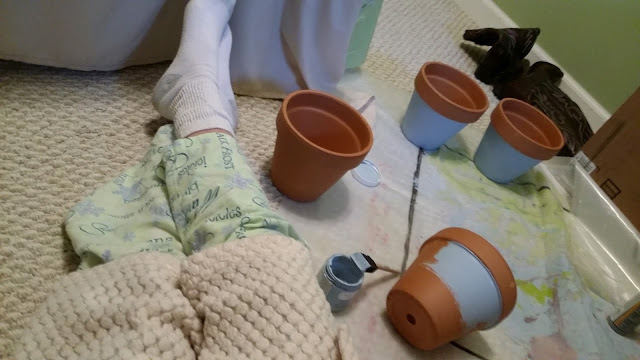 It took me a few minutes to paint the pots, which I did with a foam brush. I didn't paint the top of the clay pot. I liked the way it looked to have the clay still showing. I haven't decided yet whether or not I'll try to paint the dishes for the bottom. I let the painted clay pots dry for about an hour. Then I put the decals on and painted the pot with the clear Satin finish. Here's a tip for you: Do NOT shake the Satin finish bottle. It WILL make bubbles! Geez. I was able to brush the bubbles out. Also, try to paint in a room with the door closed so that the cat doesn't come sauntering through right next to your wet pots. Also, go slow and be careful over your decal, just in case. While I was painting the clay pots an idea popped into my head! 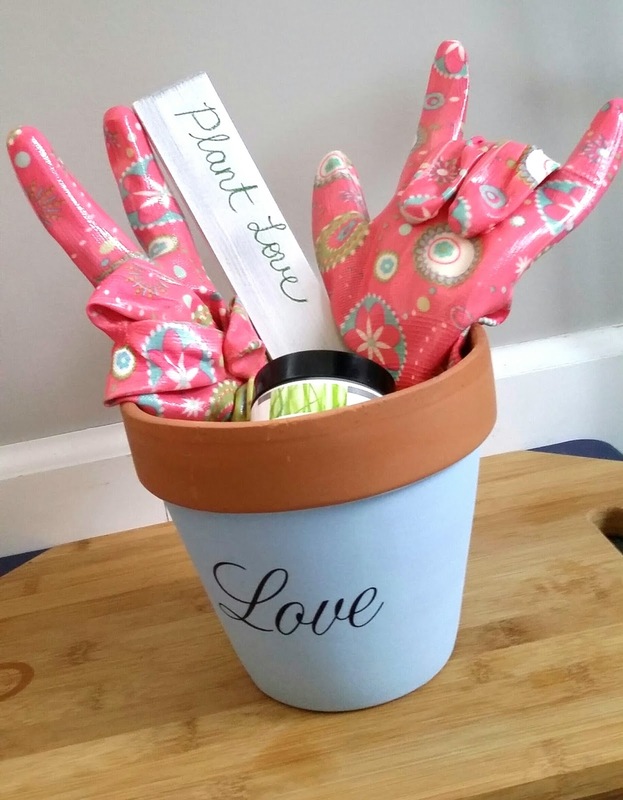 💡 What if I made a hand-saving gardening theme pot for Mother's Day? 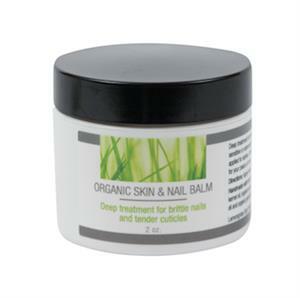 I could include 2 pairs of those cute gardening gloves and one of Lemongrass Spa's Organic Skin & Nail Balm. While I was playing around with the gloves, I decided I wanted my glove to be making a Peace sign. Then decided the other glove should be making the Love sign. 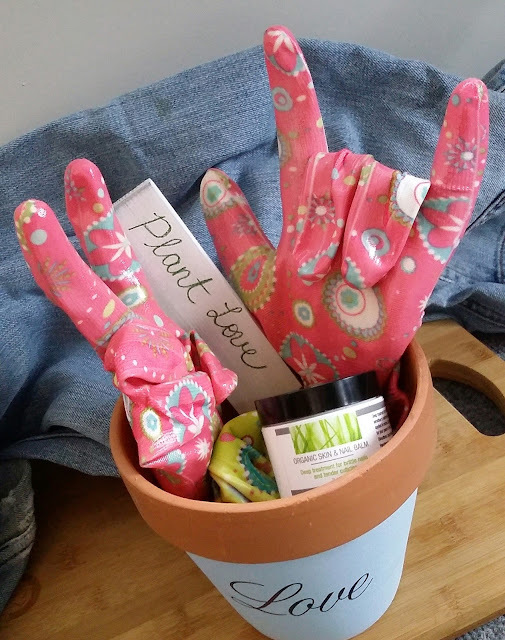 You could of course add small gardening tools, a seed packet or some kind of fancy tea to enjoy once they're done gardening. I made the Peace & Love signs by stuffing the fingers that would be standing with a plastic grocery bag. . . . I know, I know. . . I really need to stop getting the plastic grocery bags. I did somewhat okay remembering my re-usable bags last month, but there were definitely some times I forgot. The plastic bags actually came in handy ~~ Ha! No Pun Intended ~~ for this project. I tried stuffing cotton up there at first, but I wanted whatever I put in to come out easily in case the person wanted to use the gloves. At that point I hadn't decided how I was going to try to get the gloves to stay in their positions. I actually ended up hot gluing the fingers down into position. It may or may not come off without ruining the gloves. That's why I put an extra pair of gloves into the pot. One for cheer and one pair to actually use. . . . they were only 2/.99¢ after all. What do you think? 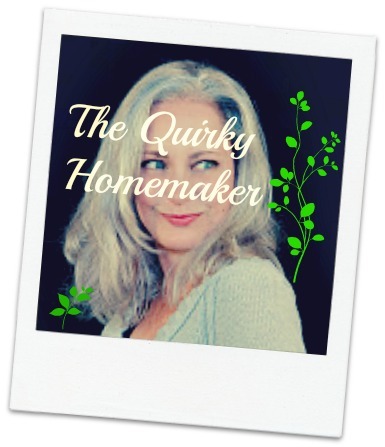 Do you like the gardening theme? Very cute and totally creative! 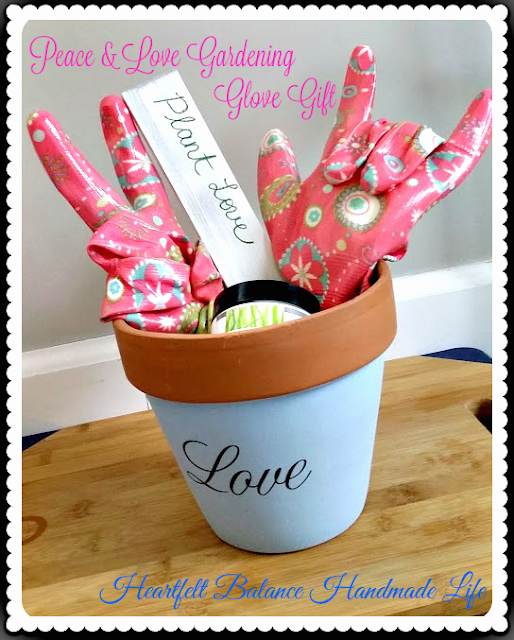 Love this gift idea. 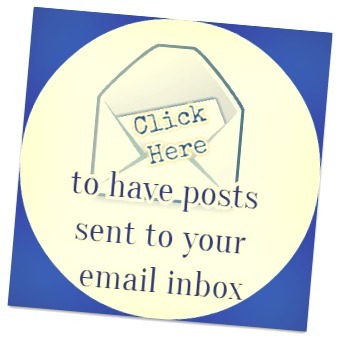 Pinned to share!